Welcome to College Fans Only! Welcome Guests! Please register so we know who you are. 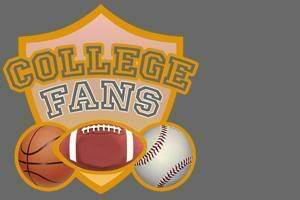 Welcome to the College Fans Only Board!! We look forward to new members joining our family! You can talk about anything here , except sports. Controversial subjects should be discussed on the "Off Topic" board. Post your favorite pics ` Members Only ! ! Other conferences of interest, plus independents. Air a concern or make a suggestion. 0 Staff, 5 Members, 259 Guests.